Thank you for stopping by the web’s No. 1 personal finance blog site! 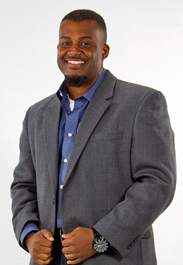 I am Samuel Boggan, Jr., founder of Entertaining Money. Recognizing the strong need, Entertaining Money was created to advance financial education among all people, and we strive very hard to accomplish that mission. I began my personal financial education over 10 years ago while a student in college. Separate from my college curriculum, I bought a few books on investing and money management to read in my spare time. Back then, I was simply trying to learn how to be responsible with money. I never imagined where financial education would take me. Today, I see the big picture clearly, and financial education means much more to me. As a real estate investor and entrepreneur, I now know that it is a proven path to financial freedom and a life of abundance. Unfortunately, financial education is not taught in schools – even though money impacts all of our lives. A strong financial education comes through self-study and self-discipline. 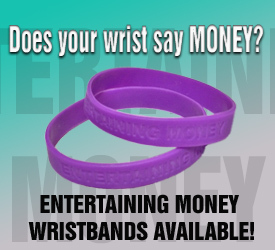 Entertaining Money assists financial education students to achieve their educational goals through our online bookstore and engaging resources. It is our sincere objective to help you achieve your financial dreams! Your success is our success. Again, I thank you for stopping by to visit us. Please be sure to visit our bookstore to find some of the best-selling financial resources ever written!